As I noted in my last entry, the Biblioteca Nacional de Uruguay houses a collection of Afro-Uruguayan periodicals spanning the mid-nineteenth century well into the twentieth. For the past few weeks, I have been conducting research there, parsing through the periodicals of the late nineteenth century in order to track the social, cultural, political, and intellectual exchanges between Afro-Uruguayans and their Afro-Argentine counterparts living in Buenos Aires. While the periodicals continue to confirm my aforementioned insights around the relationship between the making of diaspora and intellectual production, they also have revealed new developments around the contentious relationship between the Uruguayan state, the Afro-Uruguayan communities living in Montevideo and Buenos Aires, and the rationale behind the significant numbers of Afro-Uruguayans emigrating across the Río de la Plata at the turn of the twentieth century. In June and July of 1889, the Afro-Uruguayan periodical, El Periódico, published extensive accounts of the Centro Uruguayo’s various celebrations of Uruguay’s national independence, written and sent back to Montevideo by their own correspondents in Buenos Aires. Founded in 1884, the Centro Uruguayo functioned as a mutual aid society for Afro-Uruguayans who had immigrated to Buenos Aires. Despite the relatively short institutional history of this mutual aid society, the 1889 coverage of the center suggests a strong political and social presence in Buenos Aires. According to El Periódico’s published reports, the center’s festivities not only attracted Afro-Uruguayans and Afro-Argentines alike, but in a brilliant act of political theatre —or perhaps protest— members of the center even visited the current President of the Uruguayan Republic, General Máximo Tajes, as he visited Buenos Aires. My name is Saudi Garcia and I am a first year doctoral student in the NYU Department of Anthropology. My research interests lie at the intersection of race, gender, practice theory and digital media activism. This summer, I will be researching the natural hair movement in the Dominican Republic, historicizing and documenting the collection of people, places and digital spaces that together amount to a force that is visibly shifting Dominican society and culture. I will be talking to individuals about the impact that “going natural” has had on their lives, the lives of their families and Dominican society at large. The Dominican racial difference paradox: Many different skin tones, one accepted and expected hair texture. While much has been written about policies and norms that point to “black denial” in the Dominican Republic, few monographs have substantially covered the emerging efforts to develop Afro-identification and pride in the country. My work this summer involves learning about the journeys and struggles of the women (and men) who embrace natural hair in a place where wearing hair curly or afro has been interpreted as an act of rebellion that belies the Eurocentric aesthetic standards that have long been the norm among Dominicans. 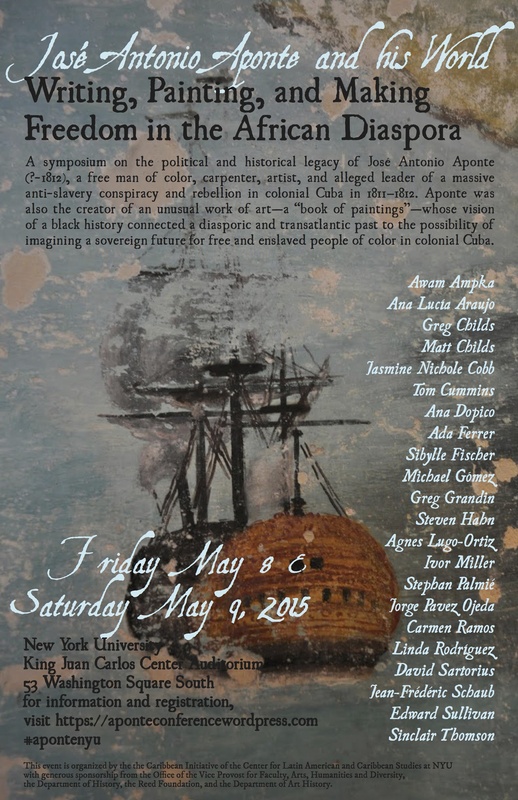 Coming soon, on Friday May 8th and Saturday May 9th, NYU will be proud to host a one-of-a-kind two-day conference centered on the leader of the 1811-1812 massive slave rebellion in Cuba. “José Antonio Aponte. José Antonio Aponte and His World: Writing, Painting, and Making Freedom in the African Diaspora,” will feature more than twenty renowned scholars from NYU, and other distinguished institutions in the U.S. and abroad, who will discuss the visionary leader, his legendary “book of paintings,” and the future direction of “Apontian” scholarship. 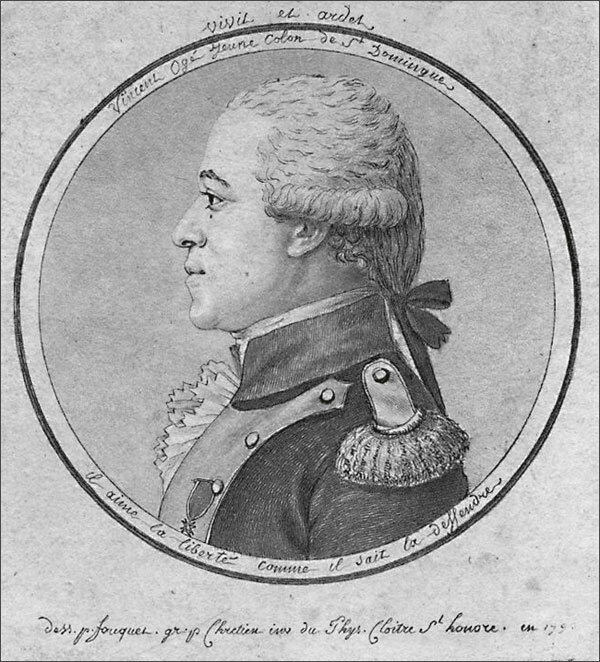 Over the past fifteen years, scholars have shown a renewed interest in the political and historical legacy of José Antonio Aponte (?-1812), a free man of color, carpenter, artist, and alleged leader of a massive antislavery conspiracy and rebellion in colonial Cuba in 1811-1812. Aponte was also the creator of an unusual work of art—a “book of paintings” full of historical and mythical figures, including black kings, emperors, priests, and soldiers that he showed to and discussed with fellow conspirators. 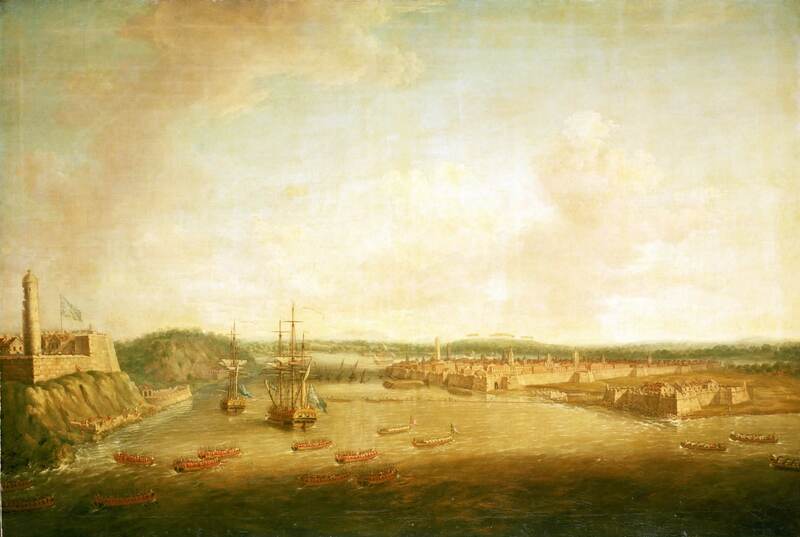 Aponte’s vision of a black history connected a diasporic and transatlantic past to the possibility of imagining a sovereign future for free and enslaved people of color in colonial Cuba. Although the “book of paintings” is believed to be lost, colonial Spanish officials interrogated Aponte about its contents after arresting him for organizing the rebellions, and Aponte’s sometimes elaborate, always elusive, descriptions of the book’s pages survive in the archival trial records. From myriad academic backgrounds in the humanities, historians, anthropologists, philosophers, literary scholars, and art historians explore the figure of Aponte as artist, intellectual, revolutionary, and theorist. In addition to this scholarly interest, Aponte has also been re-enshrined as a national figure in contemporary Cuba, following a 2012 bicentennial that commemorated his death at the hands of colonial authorities. However, given the recent scholarly and public focus on Aponte, there has not yet been a conference dedicated to the interdisciplinary scholarly perspectives that have sought to advance the study of the singular “book of paintings” and its visionary creator. “José Antonio Aponte. José Antonio Aponte and His World: Writing, Painting, and Making Freedom in the African Diaspora,” brings together scholars to discuss the current state of “Apontian” studies and suggest future directions for scholarship. It includes, as well, scholars doing work on questions of historical memory, the intellectual history of the enslaved, and the relationship between text, image, and politics in other settings in order to put Aponte’s history in conversation with a wider world, much, indeed, as his own “book of paintings” tried to do. For the conference program click here. 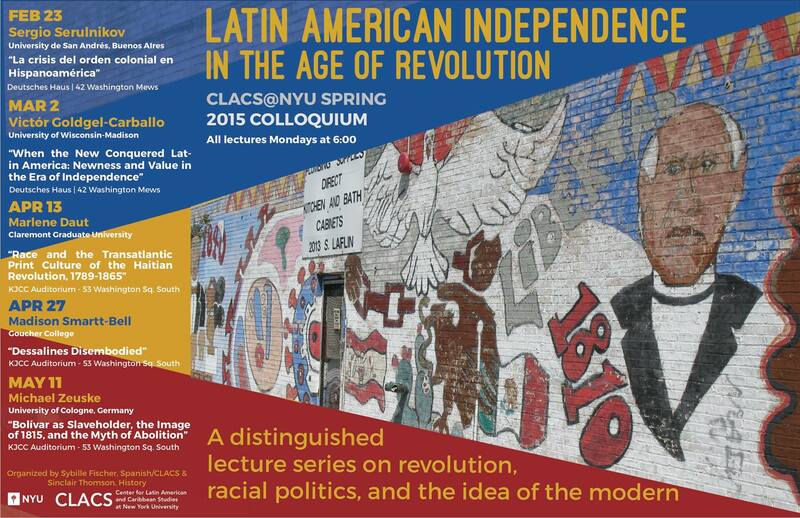 Join us for this conference at the King Juan Carlos Center at New York University, 53 Washington Square South. Click here for a Google map. The closest subway is the West 4th station where the A, B, C, D, E, F trains stop. For more information, please contact lmr273 [@] nyu [.] edu. Sponsorship for the conference has been generously provided by the Office of the Vice Provost for Faculty, Arts, Humanities and Diversity, the Caribbean Initiative of the Center for Latin American and Caribbean Studies, the Department of History, the Reed Foundation, and the Department of Art History.